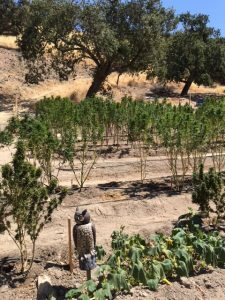 In an effort to deter and eradicate illegal marijuana cultivation sites, the newly funded Sheriff’s Cannabis Compliance Team has been identifying illegal cultivators in Santa Barbara County. The goal of the team is to stop the illegal cultivation of marijuana and prevent the environmental crimes associated with these illegal grows. On September 6, 2018, investigators from the Sheriff’s Special Investigations Bureau, Santa Barbara Police Department, California Fish & Wildlife, County District Attorney’s Investigator’s Office and the County’s Planning and Development Department served a series of search warrants in Nipomo, Santa Barbara County and Palos Verdes involving the illegal cultivation of marijuana. During the investigation, a 62-year-old Palos Verdes resident was determined to be involved in an illegal marijuana grow located on several properties in the Tepusquet area. Investigators contacted the person of interest and served a search warrant in the 500 block of Via Estrada Drive in Palos Verdes. 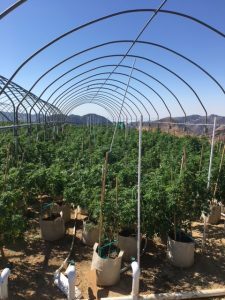 While at the location, numerous documents were seized related to the illegal cultivation sites as well as evidence of a false document filed with the county concerning the marijuana grow. Simultaneously, investigators served search warrants at properties located in the 7900 block of Blazing Saddle Dr. and the 1800 block of Tepusquet Rd. 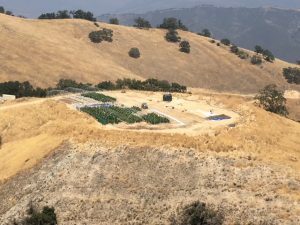 At these locations, investigators found a large marijuana cultivation site and an additional site that was being prepared to cultivate marijuana. In all, investigators eradicated more than 1,400 marijuana plants. They also observed environmental violations involving disruptions of the streambed and grading. A follow up search warrant took investigators to the 800 block of Chata Steet, where a small amount of heroin and additional marijuana cultivation related documents were located. 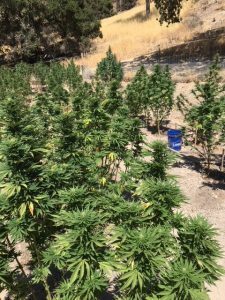 While investigators were eradicating the marijuana plants, they observerd a neighboring property in the 1800 block of Tepusquet Rd with an illegal marijuana grow. Investigators conducted an investigation and eradicated an additional 174 marijuana plants. Based on the evidence located, the Sheriff’s office will be requesting the District Attorney’s Office review the information for potential charges related to the illegal marijuana cultivation and perjury. The Sheriff’s Office and the Santa Barbara County District Attorney’s Office would like to take this opportunity to remind our community members that Santa Barbara County has developed a county ordinance that provides a path to legally cultivate marijuana within the county.